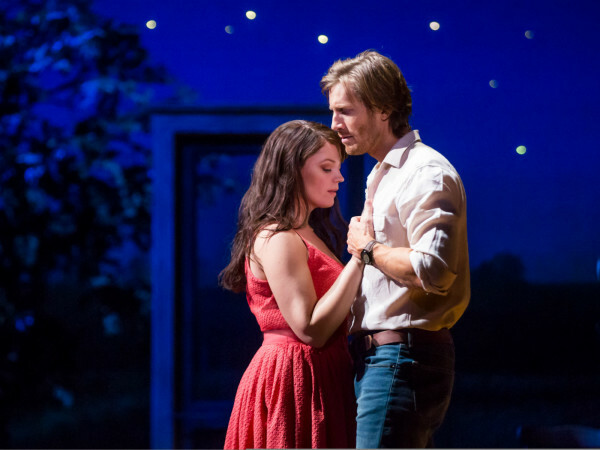 Kevin Moriarty never met an idea for immersive staging he didn't like. 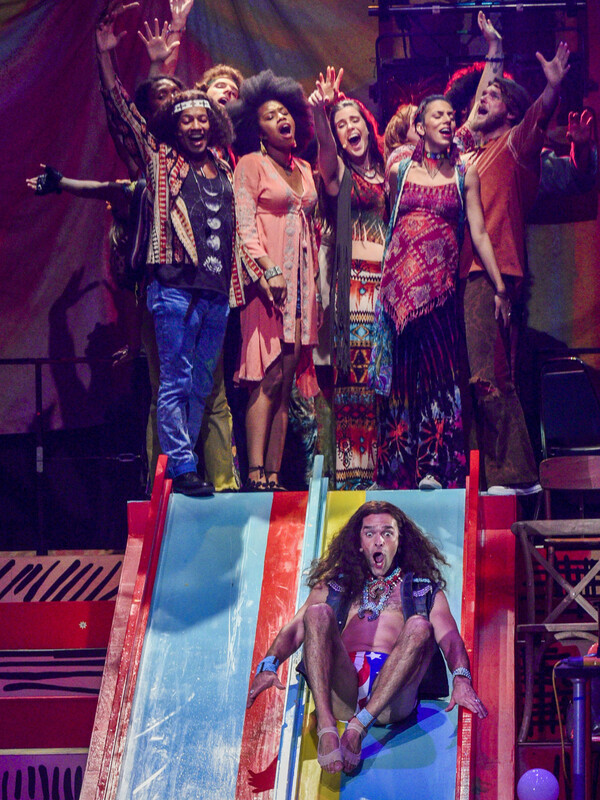 After having audiences traipse al fresco around the AT&T Performing Arts Center for his adaptation of the Greek tragedy Electra, and swirling them across the Wyly Theatre stage in pods for The Wiz, it comes as no surprise that for the musical Hair, he and scenic designer Jo Winiarksi built their concept around a giant tandem slide. That slide is located in the "playground" section of the Wyly, and is surrounded by a hodgepodge of chairs, couches, loveseats, bean bags, and even a swiveling barber's chair (hey, it's all an improvement on the theater's regular seating). The other three quadrants include a "kitchen," "lounge," and "garden" — and yes, they're pretending to grow there what you think they are. The only thing that doesn't work about this all-inclusive staging is the sound, designed by Broken Chord. 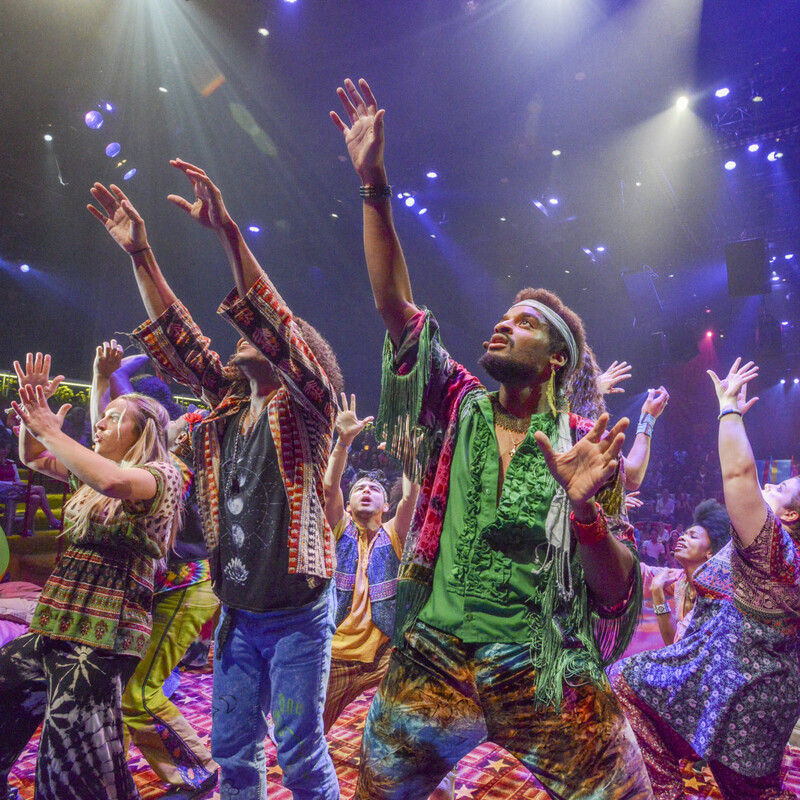 Often the lyrics and dialogue get lost while the cast is cavorting around the space. 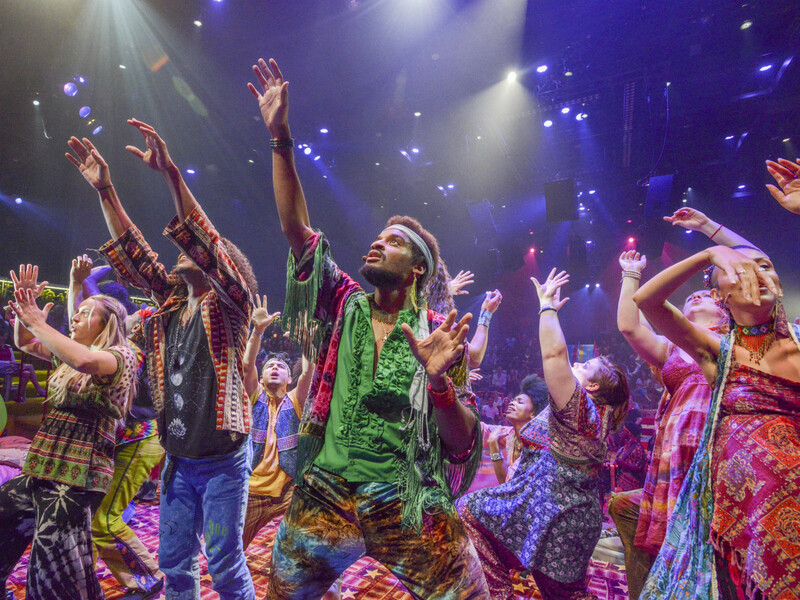 It's the 50th anniversary of Hair, which often carries the subtitle "the American tribal-love rock musical," and Dallas Theater Center has gone all-out to fill its production with peace, love, and naked flesh. 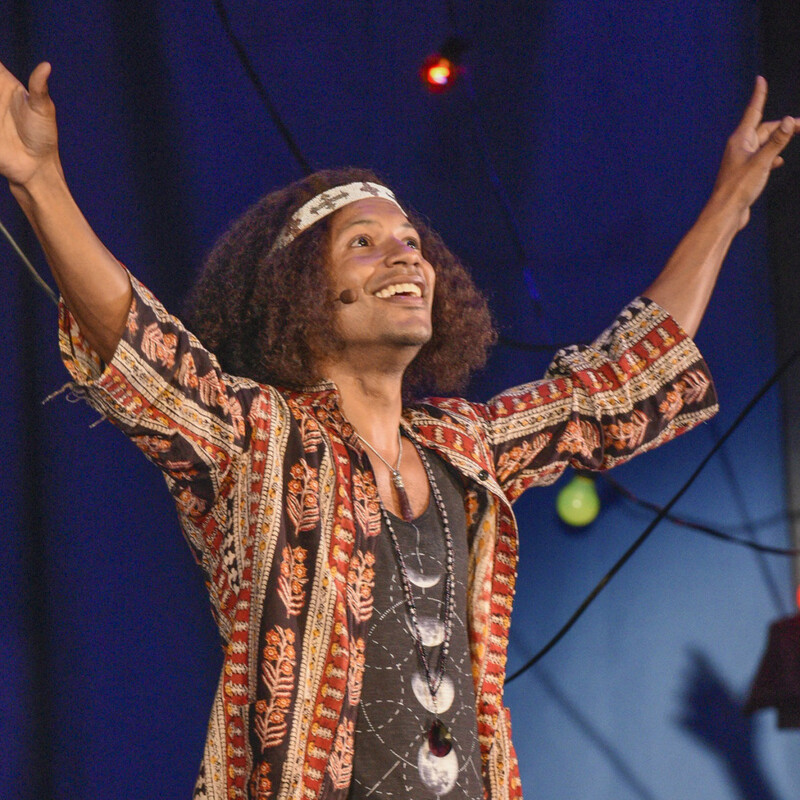 The loosely stitched story by Gerome Ragni and James Rado is about a young man who's drafted for the Vietnam War, but the show is meant more to focus on evoking the feel of the 1960s, with its hippie counterculture, sexual revolution, and impassioned exploration about what it means to be an American. Galt MacDermot's score even became a part of the era, with such iconic songs as "Aquarius," "Good Morning, Starshine," and the title anthem. To help build the vibe, the show actually gets going a half-hour before its official start time. 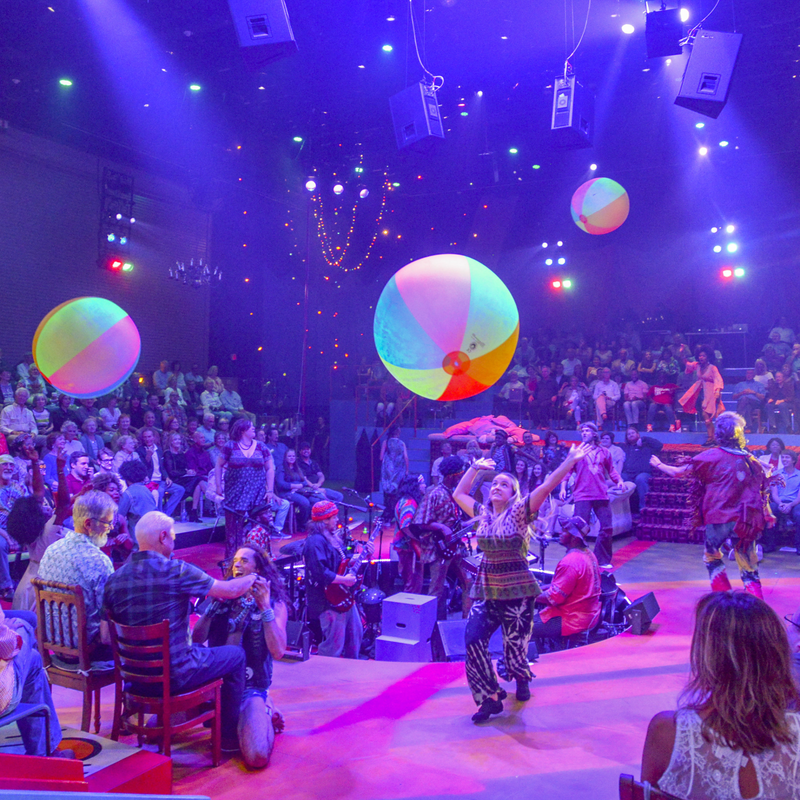 Audiences are encouraged to "create a happening" and join the "be-in," which could mean anything from face-painting and hopscotch to a dancing parade that weaves its way around and outside the theater. To say audience involvement is encouraged would be putting it mildly. 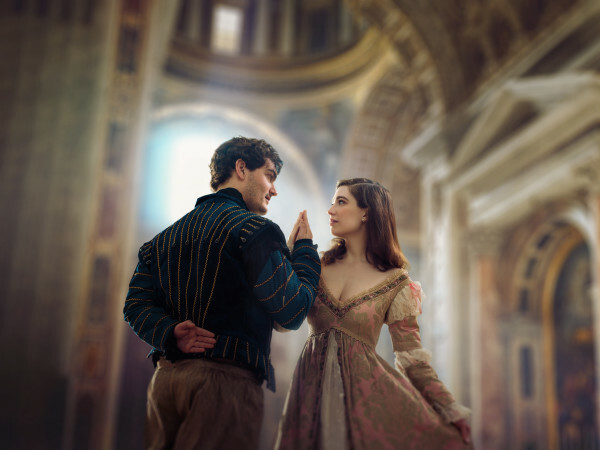 You're expected to be part of the show, too, even if that only means deep eye contact and the occasional hug or caress from the actors. 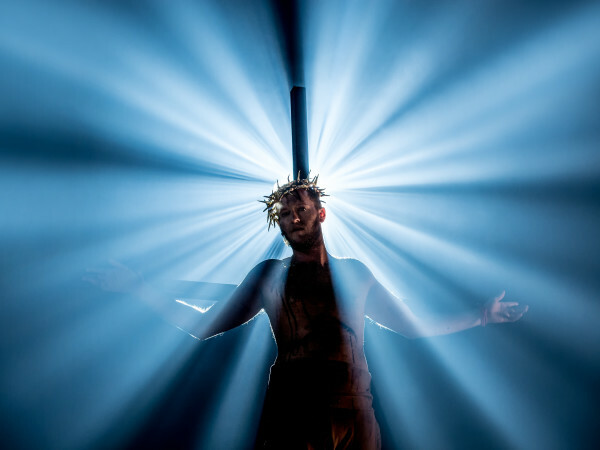 But others might find themselves being pulled into the spotlight by Berger (a rakish Chris Peluso) or any other member of the Tribe. 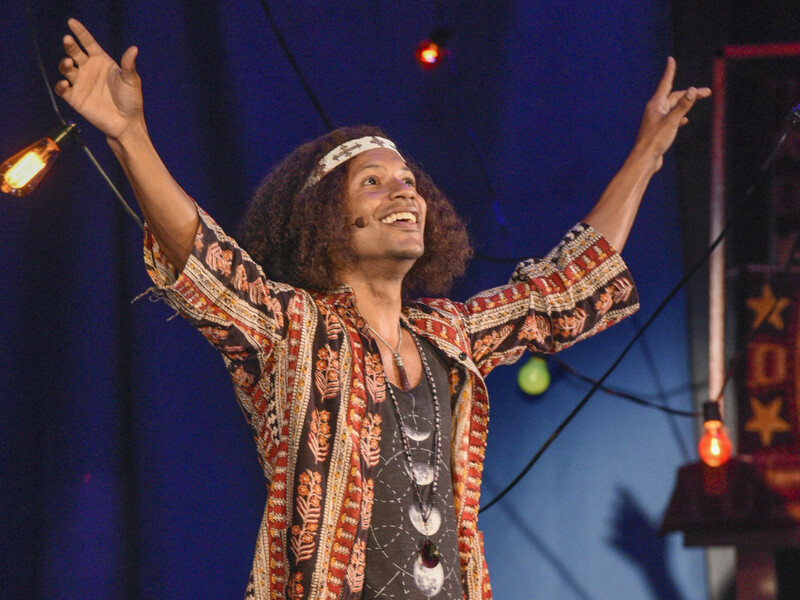 The only member who never really connects with the audience — or even with his character — is Jaime Cepero, as the protagonist, Claude. It's continually hinted that Claude is slightly out of step with the Tribe, from adopting a British accent to refusing to tear up his draft card, but Cepero's performance is so distancing that it robs his storyline of emotional heft. Quite unlike Kia Nicole Boyer as Jeanie, who's pregnant but yearning for Claude's attention, or Tiana Kaye Johnson's Sheila, who falters when the free-love mentality clashes with her deeper feelings for Berger. The cast is all in, whether that means mocking their elders (Joey Donoian makes a delightful old lady) or shedding their clothes for a raw moment of vulnerability before intermission. The musicians, too, get to engage more than usual. 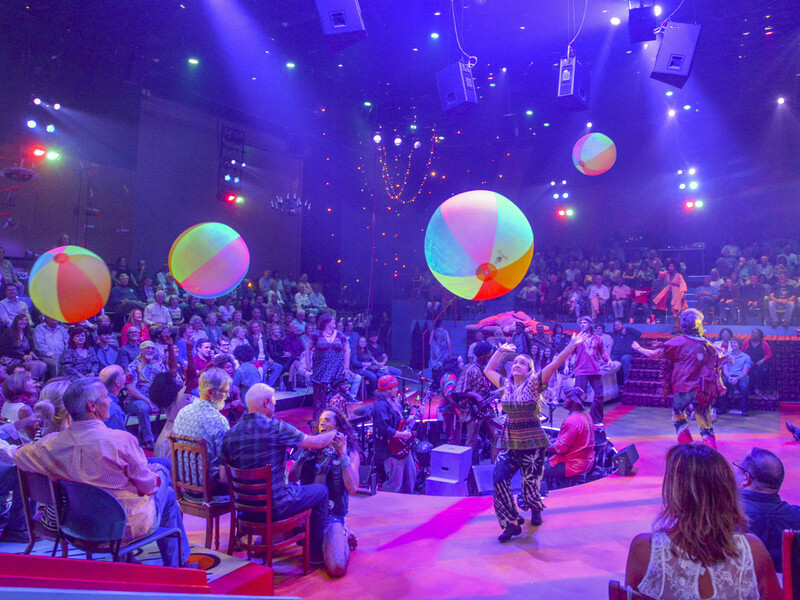 Their home base is in a sunken circle in the center of the stage, but they roam freely throughout the show, singing and improvising when needed. On opening night, bassist KJ Gray was selected to re-enact when Claude goes to the recruitment office and interviews with a tough drill sargent (Ace Anderson). The scene is improvised with different members of the show each night, but on that night Gray brought down the house with surprisingly detailed characterization and a soul-stirring rendition of the national anthem. That's the beauty of Hair: anything can happen, so best to just relax and go with the flow. 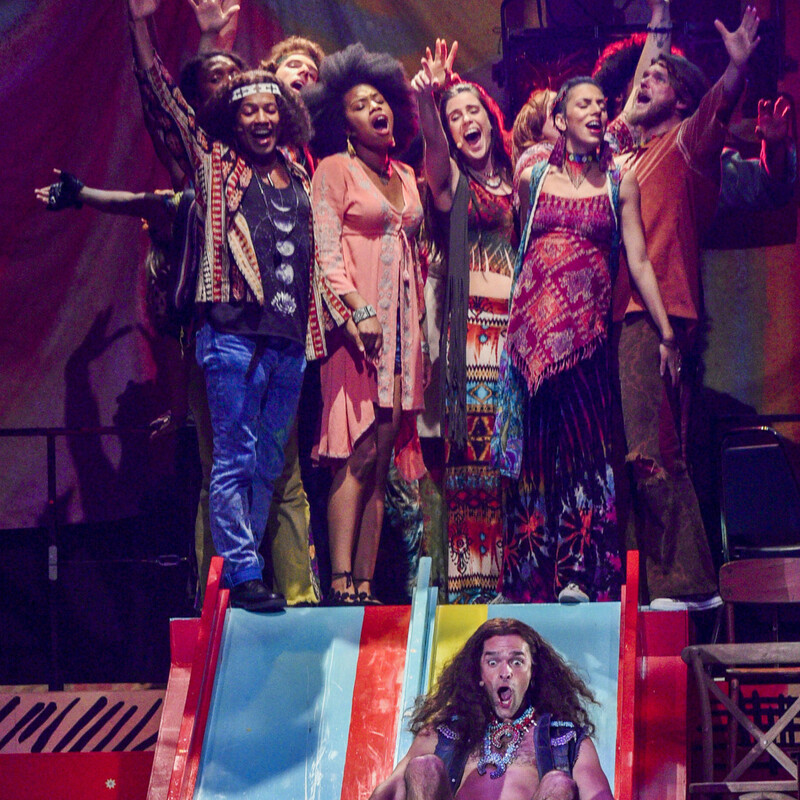 Dallas Theater Center's production of Hair plays at the Wyly Theatre through October 22.